One of the annoying features of Windows 8 and Windows 8.1 is that when you close a modern app (app installed from the Store), Windows takes you to the Start screen. That is, when you close an app in Windows 8 and Windows 8.1, Start screen appears so that you can quickly launch another app. For instance, when you close Calendar app by pressing Alt + F4 hotkey or sliding-down the app to the bottom of the screen, both Windows 8 and Windows 8.1 show the Start screen with default settings. This means, you need to either press the Windows logo key on the keyboard or click the desktop tile on the Start screen to switch to the desktop environment. While this feature is helpful for those who always prefer to use modern apps over desktop apps and also users who’re running Windows RT on tablets, most Windows users prefer to see the traditional desktop after closing modern apps. Unfortunately, there is no workaround or software available to configure Windows 8 show desktop after closing an app. 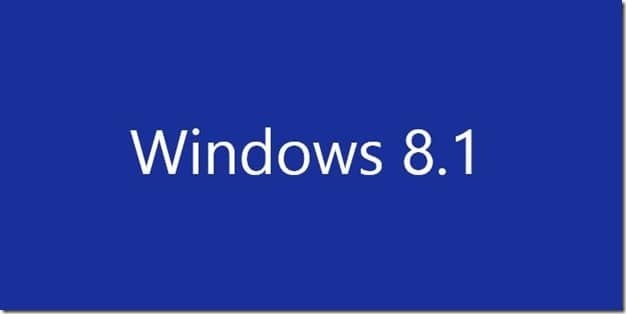 Luckily, with Windows 8.1 RTM, Microsoft has introduced an option that allows users configure Windows 8.1 to show the desktop environment right after closing an app, meaning that you see the desktop instead of Start screen when you close metro or modern UI apps. The catch is that enabling the option not only forces Windows 8.1 to show desktop upon closing a modern app but also makes Windows 8.1 boot directly to the desktop by skipping the Start screen. That is, if you love to return to desktop after closing modern apps but also want to see the Start screen after signing into Windows 8.1, you have no option but to hope for the release of third-party tweaking utilities with two separate options. NOTE: This option is only present in the final (RTM) version of Windows 8.1 and not available in Windows 8.1 Preview. You need to upgrade from Windows 8.1 Preview to RTM to get this option. 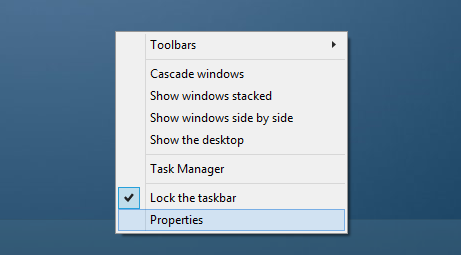 Step 1: Right-click on the empty space of the taskbar and click Properties to open Taskbar and Navigation properties dialog. 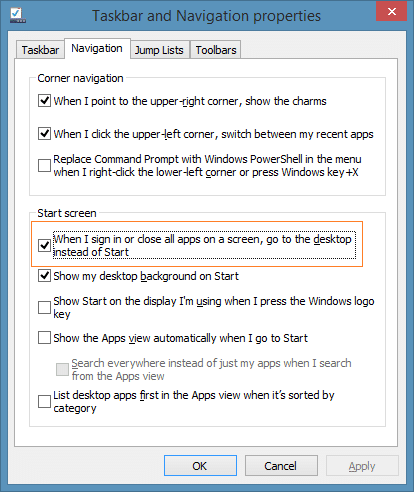 Step 3: Here, under Start screen section, check the option titled When I sign in or close all apps on a screen, go the desktop instead of Start. Step 4: Click Apply button. That’s it! From now on, whenever you turn on your PC Windows 8.1 boots directly to the desktop and also takes you to the desktop after closing a modern app. 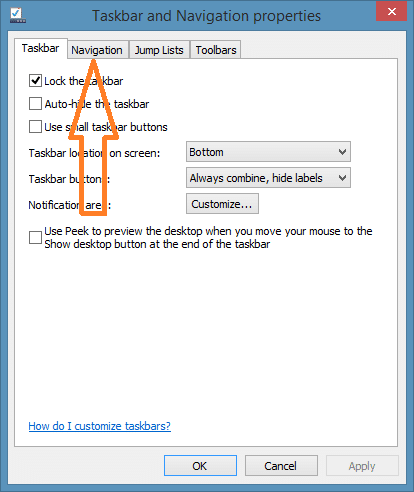 How to hide the Start screen in Windows 8.1 and how to disable the Start button on the taskbar guides might also interest you. this is nice, but I want to know how to stop this behavior this article tells you how to enable. I want windows to stop opening the desktop every time I close an app. I only want it open when I ask for it and no other time. Frankly I look forward to the day when it is gone for good. And unchecking that box does not stop the behavior after the last update.